Gables. Val Byrne knows “the Gables” as only a local can. Born and raised here, today Val works with buyers and sellers in this unique – and uniquely charming – city. Since its creation by developer George Edgar Merrick in 1925 – about the same year as the University of Miami was founded here – “the City Beautiful” has grown from one of the first planned urban communities to a place of size and prominence. Today, Coral Gables is known as the “Gateway to the Americas” and is home to hundreds of corporate or regional headquarters for companies doing business in or from Latin America. Biscayne Bay, Coral Gables remains a rare find for discerning home buyers. The city has $400,000 starter homes – and multimillion dollar estates in communities like Old Cutler Bay, Snapper Creek Lakes, Hammock Oaks, Journey’s End, Sunrise Harbour, Cocoplum, King’s Bay and the ultra-exclusive Gables Estates, where athletes, celebrities and titans of business reside. The Deering Bay Yacht & Country Club taps into the region’s world-class boating and golfing community. Downtown Coral Gables is enjoying the promise of New Urbanization. Condominiums and live/work/play apartment residences are rising along the venerable Miracle Mile commercial district, where boutique shops and quaint restaurants beckon patrons to a stretch Mr. Merrick once envisioned as the center of Gables business life. Only today, business extends to downtown Miami – a short drive down U.S. 1, or a quick trip on the MetroRail. 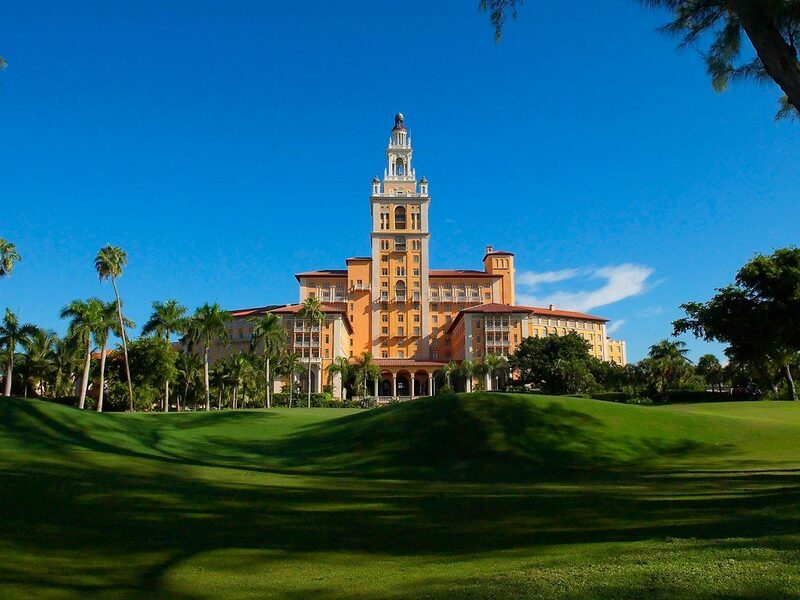 Coral Gables is home of the historic Biltmore Hotel and the exquisite Venetian Pool. It has a network of parks and amenities unsurpassed anywhere. Down Old Cutler Road is Matheson Hammock Park and Fairchild Tropical Botanic Gardens. Since its founding in 1925, the city hasn’t stopped growing – and evolving. Mr. Merrick would be proud. To learn more about Coral Gables, Coconut Grove, South Miami, Pinecrest, Palmetto Bay, Brickell, or Key Biscayne – contact Val Byrne with EWM Realty International or www.MiamiRealEstateWorks.com at email at [email protected] or by phone at 305-323-6231. Val Byrne – Working For You!